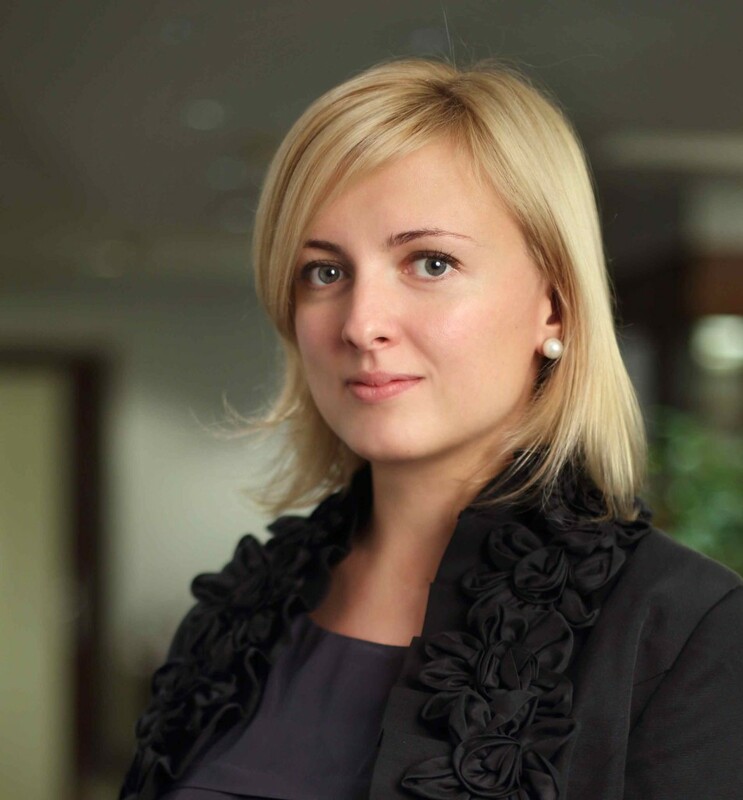 Since 2012, Polina Gushcha has been CEO at Coface Russia. She started her professional career as the Manager at Northern Venice Group, working her way up the ladder after several years. From 2009 to 2012 she held a position of General Director of Saint-Petersburg Factoring Company. And after years of work in leasing, Polina gained expert knowledge of financial instruments that lead her to her role today as CEO. We were honored to connect with Polina and learn about how she made her way to the C-Suite in such a competitive, male-dominated field. Tell us about your professional journey and your role today at Coface. PG: I studied at Saint-Petersburg state University of Economics and Finance and graduated with banking degree. I also earned an MBA at Open University Business School, UK. Finance and banking are very dynamic and rapidly developing business sectors. My entry into the university coincided with a period of “Perestroika” and economy refreshment. I considered economic instability and economic liberalization of those times as very promising trend. Coface is a large international company. As a CEO of ‘Coface Rus’ I hold my duty in providing good place on the world market of insurance companies. I want our foreign colleagues to be proud of us. I was fortunate enough to come into a professional team. So I am not a locomotive of the company, but rather I conduct business processes, create and control the implementation of business strategy. What has been the key to your professional success? What (or who) has helped lead you to where you as a woman CEO today? PG: The key to my professional success were such traits of my character as purposefulness and perfectionism. My family is very helping and supports me throughout all of my endeavors. I follow the example my parents set. I appreciate their traits of character such as purposefulness and striving for success. What is the greatest obstacle you face to achieving the success you desire? How do you overcome it? PG: The greatest obstacle I have faced is attitude toward my age. Male businessmen, especially older ones, frankly speaking, consider me to be not quite professional because of my rather young age. But during the first meeting, the person understands that professional skills are not age and gender dependent. Any age-related confusion disappears after the first working conversations. What do you think are some of the greatest professional obstacles women in Russia face? What is your advice to help them work around it or overcome it? PG: Due to the baby boom of the last few years in Russia, employers prefer not to hire young married women without children. As for our company I can confidently say that we do not have any gender discrimination. Half of our company’s top management are women. I cannot say that there is any gender workplace discrimination in our country. However, in Russia there are certain sectors in which women are less represented. A woman will hardly be a director of foundry production, for example. Due to physiological reasons such fields for women are not available. Women in the industrial sector are represented in light and food industries. I would advise all young Russian professional women to plan their career carefully from the first year at university. A woman must set clear goals for the nearest two to three years. For example, I started working in my second year at university. As far as I know it’s not customary in Europe. I noticed that the most successful of my former classmates are those who start working while studying. Sometimes in life you need to be patient and let go of something else to get high career results. What advice would you give to young women in Russia who are just beginning in their careers? PG: You need to make a choice between love and career. A combination of the two is very difficult. This requires an understanding family and a husband, ready to support you in all your endeavors. My husband, for example, has never constrained my career progression. If a woman is planning a pregnancy she’d better negotiate this issue with potential employer. Modern youth have groundlessly high career expectations. When we were students we got a job because we wanted to gain experience, not to earn money. My first salary was 3,000 rubles ($94US dollars) per month. While studying at the university I worked for this salary for quite a long time and I also had a second job. Now, I have the perspective of an employer. Young people who are searching for a job are incommensurable with their experience and salary expectations. Only a few applicants aim to obtain high-quality experience, which will help in further professional development. A woman in Russia must be strong and live according to the principle “what does not kill us makes us stronger.” In my opinion there is nothing unattainable in our life. The main thing is to have a clear understanding of what you want and how it’s possible to achieve it. She started her professional career as the Manager at Northern Venice Group, working her way up the ladder after several years. She gained expert knowledge of financial instruments that lead her to her role today as CEO. Her advice to young Russian women: set clear goals and plan your career carefully.